Last fall I compiled a Head to Head feature pitting the uncomplicated paper map against the high-tech GPS. The feedback was interesting and confirmed what I had suspected for some time, which is to say the ubiquitous smartphone has largely supplanted the GPS as the navigational device of choice. I didn’t research how many GPS units were purchased in the previous year, but I did quickly find a rough estimate of the number of smartphones transacted in 2014. It’s a staggering digit––over a billion phones were sold worldwide last year. This begs the question, is the smartphone the preferred tool because it is better, or simply more widely owned? As someone who tends to rely on both the traditional GPS and the phone in my pocket, I set out to see if one really is superior to the other. The first step was to better understand how these systems work and how they differ. In the 1970s, the U.S. Department of Defense commissioned the development of what is now our current Global Positioning System with its constellation of 24 satellites. At roughly the same time, the Russians had initiated work on their own network, which over the years went in and out of a state of disrepair until Putin put a whopping one-third of his 2010 budget behind it to bring it up to date. 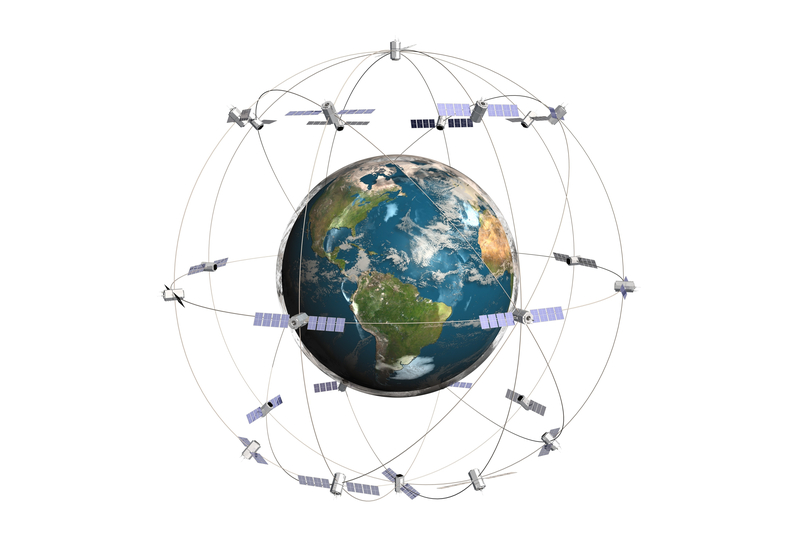 That system, GLONASS, also consists of 24 satellites and thanks to collaborative efforts between our two nations, is usually paired to our GPS network bringing 48 satellites to bear on our navigational needs. To leverage the hardware hurling through space overhead, ground-based navigational devices need two things: The necessary GPS chipset to process the incoming data, and a good antenna. Traditional GPS devices have normally had superior chipsets and antennas over their phone counterparts, but this is rapidly changing. Almost all newer smartphones not only receive GPS and GLONASS signals, they can process them quickly for near instantaneous location tracking and reliable accuracy. There are also external receivers available for smartphones, and tablets, that can increase a phone’s GPS performance. Bad Elf, Dual, and Garmin all make excellent external receivers that can pair to any phone for GPS performance that rivals that of any dedicated GPS unit. With those considerations in place, I have to draw the conclusion that the smartphone and the standard GPS both have the ability to provide equal accuracy. 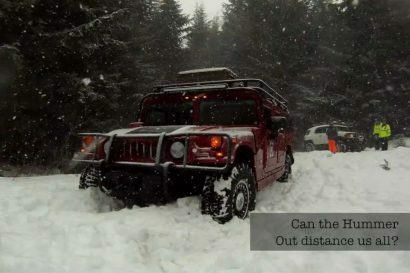 Then again, the smartphone has a trick up its sleeve that the GPS unit doesn’t––Assisted GPS. Assisted GPS is a feature unique to the smartphone. When a phone is within active range of cellular towers, the phone can use real-time information provided by those towers to increase location accuracy. The towers transmit information about the GPS satellites overhead to the phone so the it doesn’t have to actively receive that information via the satellite signal itself. It simply gives the phone another layer of information to lock onto a more accurate location. Some navigational applications like Motion X also use the phone’s built-in accelerometer and digital compass to aid in location accuracy. That’s something no GPS unit on the market offers. I might argue that a smartphone, particularly with an external GPS/GLONASS receiver, might trump the accuracy of a standard GPS unit. The wireless Bad Elf Pro (left) can connect up to 5 devices. The Bad Elf for Lightning plugs right into any iPhone 5 or 6. The most important information any navigational tool can provide, outside of your real-time location, has to be map data. Most GPS systems are shipped with meager maps pre-installed, if any. For Garmin units, their devices are sold with or without topographical maps, the price variance often hovering around $100 for pre-loaded topos. In some cases, traditional GPS units can’t be easily loaded with detailed maps without some tricky file conversions, often something above the technical skills of many users. To compound the limitations with map data on some machines, installing a Garmin Topo card on my eTrex for example, reveals excellent detail. Putting that same card in my Garmin Zumo filters out much of the detail giving me a watered down version of the $100 topographical maps I purchased. That makes me sad. This is where the smartphone starts to kick the traditional GPS unit right in the pants. Whereas many GPS dedicated map systems can cost upwards of $100, or more, for just one map layer, map sources for smartphones can often be had––for free. If not free, for just a few bucks and often with multiple map layers, some even using aerial photography or satellite imagery. There are literally hundreds of map and navigation applications that can be downloaded in seconds right to your phone with the tap of a button. 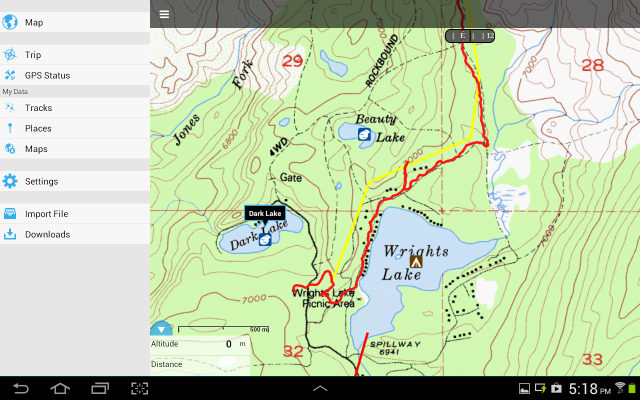 Many of these newer applications like MotionX, Backcountry Navigator, Gaia Topo, and countless others also include advanced tracking and file management solutions, which not only rival those of most GPS units, but beat them hands down. 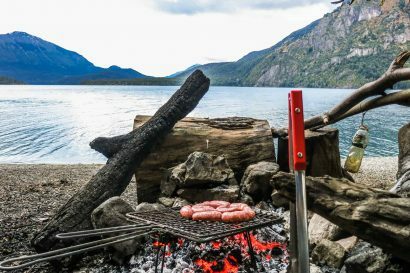 Some smartphone navigational apps even allow you to snap a photo with the phone’s camera, that location instantly geo-tagged on the app’s map. Some GPS units do the same, but for a pretty penny. Many phone-based navigational apps have other bells and whistles you may or may not desire, but they are slick. Some apps allow you to share location information, waypoints, and routes on social media, or to the “cloud” where they can be shared with other users, friends and family. Try that with your GPS unit. One of the long standing advantages of the GPS unit has been the ease of use, and I feel it still applies as a consideration. Even the more sophisticated units are quickly mastered. Many of the newer GPS units use simple interface software and even touchscreens to make the user experience as trouble-free as possible. Oddly enough, many mimic the interface of the smartphone, a device most users are comfortable using day in and day out. Perhaps because the smartphone is a daily use item, it might earn the ease of use advantage. Learning to use most phone apps takes but a few minutes, the instructions often built right into the initial tutorial following the first download. All things considered, I might give the smartphone the edge with regard to ease of use. At almost no time during the use of a smartphone for navigation will you need to interface it with a computer. GPS units, almost always end up plugged into a computer to squeeze out every last drop of benefit. That is far from ideal. Tracking: Having used a number of phones and applications over the last several years, our team has concluded that the most reliable tracking is achieved with a dedicated GPS unit. We can’t explain it, other than to suggest it has much to do with antenna and chipset efficiency, but a GPS will always provide a more reliable track over a phone. I have been able to bolster phone tracking performance with the addition of a Bad Elf receiver. It adds $100 to the system, but well worth it. 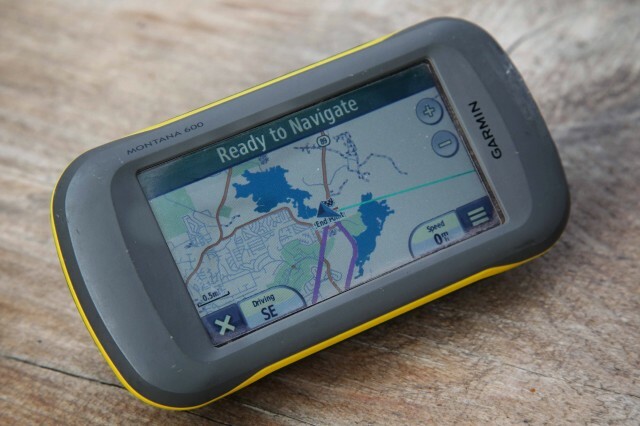 Durability: Most GPS units are waterproof and quite robust right out of the box with no need for a protective case. Garmin’s motorcycle units even protect agains fuel spills. Cost: Although smartphones are expensive, few pay more than $200 with the necessary calling and data contracts. 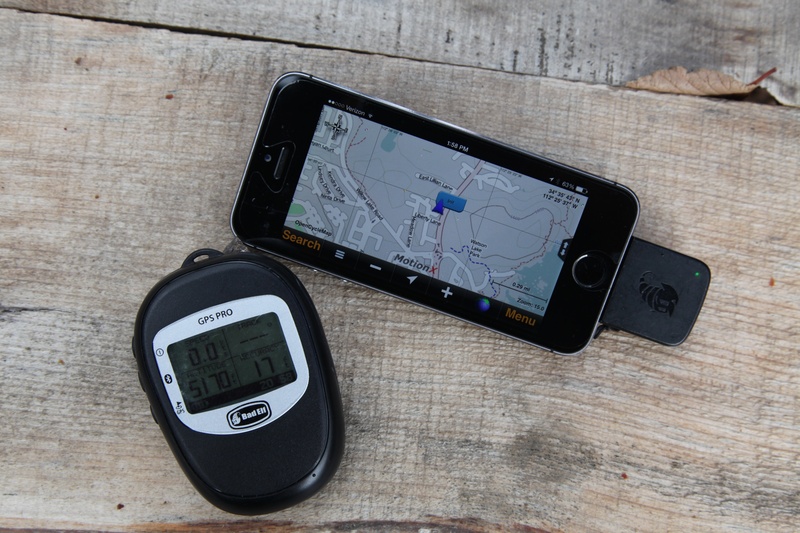 A GPS system with maps is almost always going to put the purchase between $300 and even $900. Display definition: Few GPS units have the high definition screens so common to the current crop of smartphones. My Garmin eTrex has a display that rivals a mid-90s video game. I find it’s often much easier to read an iPhone or similar device, even in bright daylight. Maps: The ability to buy maps for little or nothing is only made better by the fact such a process can be done in seconds with a click of a button. Want to download a map of the best sight seeing locations in Yellowstone? One click and you’re done. Size: This can be a drawback as well given the small viewable screen, but the power of Magellan, as in the actual guy, now fits in your pocket. That’s supremely cool. Regular updates: With another quick click of a button, most navigational apps can be updated in seconds. There’s no need to plug your device into a computer, download the latest maps, then upload them to your device, a process that seems ancient anymore. Vulnerable construction: Just the other day one of our team members went to get into a truck, dropped his phone, and watched it shatter to pieces. Smartphones are very delicate. They can be made more robust with protective cases, but that just adds more money to the project. Battery life: When you fire up your favorite navigational app, you start burning huge amounts of limited power. I’ve drained my phone in as few as 90 minutes using some navigational apps. This requires battery backups or a continual power source. Map downloads: This is an important caveat to the simplicity of phone navigation. 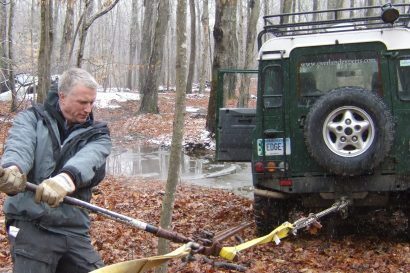 When going into the areas not serviced by cellular or Wifi signals, the user must almost always need to have downloaded the necessary map segments in advance. Navigating while “off-line” requires some preplanning. The best way to settle this debate is to grab your smartphone, load it with a couple top level navigational apps, and give it a try. I assume many of you already have done so and may even have a GPS unit in your closet gathering dust. While I still use dedicated GPS units on my motorcycle (due to the durability), I almost always navigate with my phone. To me, it has evolved into the better navigator. When discussing this around the table with our Overland International team, the most commonly used navigational tool is without peer––our phones. From South America to Iceland, Africa to our own little hometown, we use the phone above all. So, which is better? Verdict: Although it sounds like the smartphone is the best solution, it may not be for everyone, or for every application. 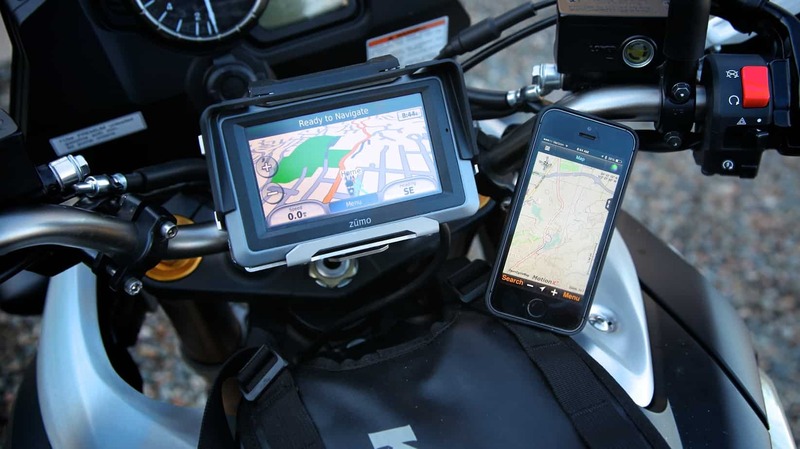 Like many, I still find the GPS is the best system for my motorcycle, bicycle and other pursuits where the delicate nature of the phone becomes a liability. For international travel, the smartphone often offers the most easily accessed maps. There are other variables, but for now, I will continue to use both. How’s that for a wishy-washy verdict?